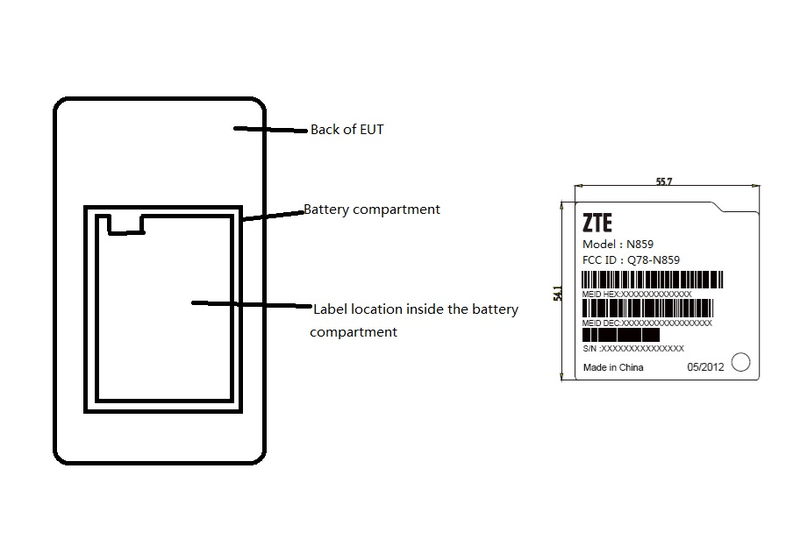 In a surprising appearance through the FCC, a ZTE device under model number N859 with Windows Phone 7.5 on board may just release before Windows Phone 8 devices later this year. Either that, or ZTE is oddly passing this device through certification to release it as soon as possible, and will just update it with Windows Phone 7.8/8 later on in the year. Apart from the fact that the device has Windows Phone 7.5 running on it, it is also a CDMA-only device. CDMA-only also indicates that the device may remain in Asian countries, hopefully not if potential customers are looking for more low-tier Windows Phone devices. The above image at the beginning of this post is the only visual description available so far from the FCC of the ZTE N859.